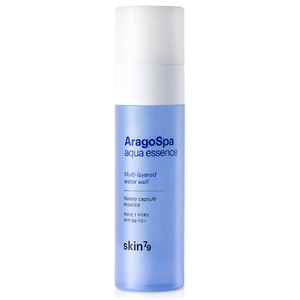 Boost skin’s moisture levels with the Aragospa Aqua Essence from Skin79. Ideal for dry skin, the Essence delivers intense moisture. Enriched with a hydrating blend of Jeju Aragonite and Thermal oil capsules, the collagen rich formula helps to maintain healthy moisture levels to leave skin comfortable.